Effective weight gainer. It helps to gain muscle mass. 80% of Carbohydrates: from a matrix with two different sources (maltodextrin and dextrose). They are the main components that will provide an extra boost of energy for the body in order to ensure tissue synthesis and growth. In addition, they will contribute to recharging the muscle glycogen deposits (the energy used by the muscles during intense activities). 15% of Protein: from a different absorption rate protein blend (whey protein concentrate, micellar casein, egg protein). It keeps a constant amino acid discharge into the blood stream. 1.5% of Creatine Monohydrate: which will keep the energy deposits (ATP) full so that we will have enough strength and energy when it comes to training and shortening the recovery between sets. 0.5% of Taurine: it will ensure the hydric balance (regulating the sodium and potassium levels) at cell level, while improving the muscle-nerve transmission. Gain Bolic 6000 can be used in any nutritional plan to gain weight and muscle volume, since it provides the extra calories that we need to improve our revovery and growth. 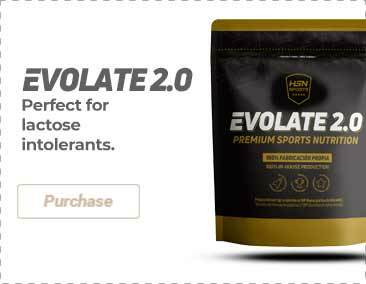 80% of carbohydrate blend (maltodextrin, dextrose), 15% of protein blend (whey protein concentrate), micellar casein, ultra filtered egg protein), flavorings, 1.5% creatine monohydrate, 0.5% taurine, thickeners (xanthan gum, sodium carboxymethylcellulose), 0.01% vitamins (l-ascorbic acid - vitamin C, dl-alpha-tocopheryl acetate - vitamin E, nicotinamide - niacin, d-biotin, retinyl acetate - vitamin A, calcium d-pantothenate - pantothenic acid, pyridoxine hydrochloride - vitamin B6, cholecalciferol - vitamin D, pteroylglutamic acid - folate, thiamine mononitrate - vitamin B1, riboflavin - vitamin B2), color: E150c. Take between 1 to 3 portions daily between the meals or 1 hour before or after training. Mix 1 portion of 100g in 120ml of water. At the beginning it is advisable to take half a portion 50g or 105g. Consume immediately. Consult your doctor before starting any nutritional or exercise program. Nutritional supplements should not be used to replace a balanced diet. Do not exceed the stated recommended daily dose. Keep in a cool and dry place, out of reach of the smallest children. Not suitable for diabetic people.